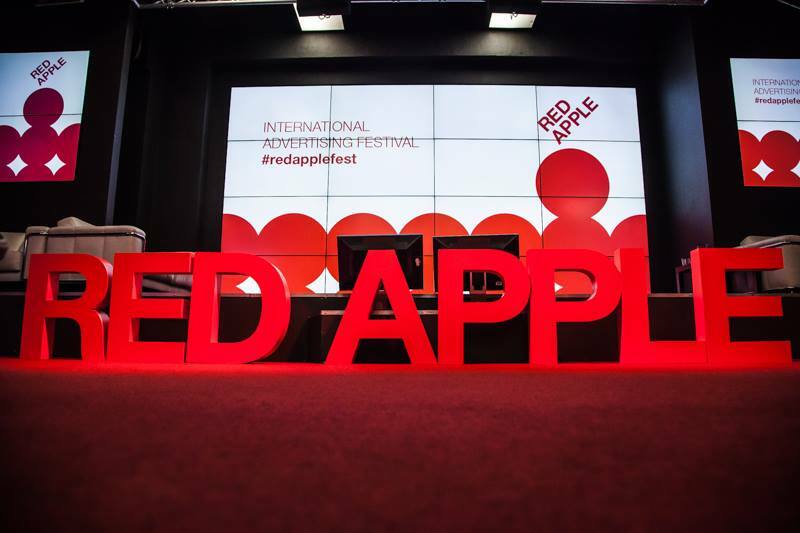 International festival Red Apple is held on 16-17 of February in Digital October. Heroes of world advertising industry will meet in one place to share their tips and tricks and discuss the trends. The philosophy of festival is sharing the ideas, creativity, that's on the edge of advertising, art and high tech. Red Apple's program breaks through the limits and tries to find inspiration in related to advertising spheres - science, culture, IT, media. This year, besides of different sections, lectures and workshops, guests would be rewarded with bunch of pleasant surprises. The first - open parsing of contest works. Organizers asked professional producer, designer, strategist, creative director, operator, production designer and composer to share their secrets reviewing actual cases. The second – presentations of best cases from 2016, where the creators of brightest, affecting and most impressive projects would tell about the creation process of every clip. Program includes: “Sun for the best friend (Pedigree & BBDO Moscow), “The Angriest whopper” (Burger King & Fistashki), “Survive in Europe” (Aviasales) and others. The third – a series of workshops “Boost your creativity”. During these classes business-strategists, hi-tech specialists, actors and artists would tell about unusual approach of boosting creativity: scribing and sketchnote, mindmapping, voice control and design thinking. Besides, during two festival days awards ceremony will be held in 18 nominations and the Russian Advertising Academy will award the most courageous ad with a special prize “Breakthrough of the year”. As usual a great choice of speakers is provided on festival. Roman Firayner (Instinct), Andrew Gubaidullin (Voskhod), Vladilen Sitnikov (Hungry Boys), Polina Zabrodskaya (Publicis London), Dragorad Knez (Publicis Russia), Valentin Smolyakov (ACAR) and 70 other speakers will make the world of advertising more close. You will learn how bright and effective projects are born, how advertising and hi-tech change the world, and how would media reality look in 2025. Not only heroes of Russian creative industry would appear, but people well-known in world advertising sphere, among them – Sascha Kuntze (Ogilvy Dubai), Haruko Tsutsui(Dentsu Tokyo), Julian Katz (BBDO USA), Sneha Nagesh (PHD’s Global). As always, Red Apple would be a point of touch between two cultures and a place of continuous communication of different ideas, East and West.